WASHINGTON — Democratic Sen. Claire McCaskill of Missouri says Russian hackers tried unsuccessfully to infiltrate her Senate computer network, raising questions about the extent to which Russia will try to interfere in the 2018 elections. McCaskill, who is up for re-election this year, confirmed the attempted hack after The Daily Beast website reported that Russia’s GRU intelligence agency tried to break into the senator’s computers in August 2017. The Daily Beast report Thursday was based on the site’s forensic analysis after a Microsoft executive said last week that the company had helped stop email phishing attacks on three unidentified candidates. Her office would not give any details about the attempted attack or say how they learned about it. A spokesman for Senate Majority Leader Mitch McConnell said he did not have immediate comment. An FBI spokeswoman declined to comment Thursday night. 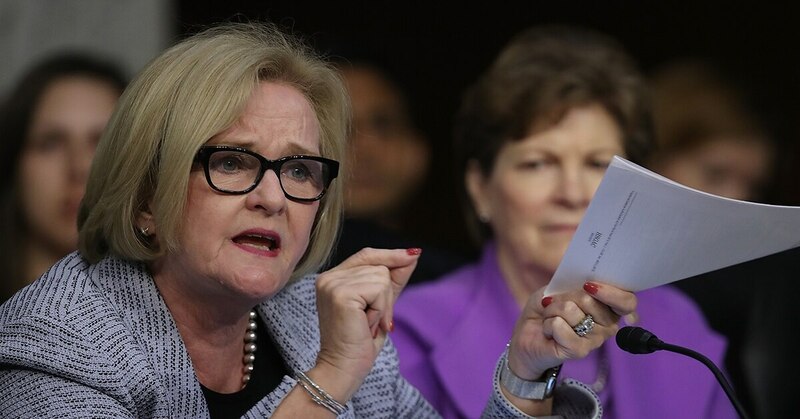 McCaskill, a Democrat in a state that overwhelmingly voted for President Donald Trump, is considered one of the most vulnerable senators up for re-election this year. According to The Daily Beast, the email phishing scam that targeted her office was similar to a successful Russian hacking of Democrat Hillary Clinton’s campaign chairman, John Podesta, in 2016. The report comes two days after Trump suggested that the Russians may try to help Democrats in this election cycle. He has repeatedly questioned the extent to which Russia interfered in the 2016 elections despite an assessment from the country’s intelligence agencies that they did. The intelligence agencies said Russia was attempting to help Trump win the election. Virginia Sen. Mark Warner, the top Democrat on the Senate intelligence committee, said the news confirms what he and others have warned for some time.